Categories Reprints Reprint for pop-up counter "Professional Original M"
Reprint for pop-up counter "Professional Original M"
Reprint for your existing pop-up counter "Professional Original M". Your artwork will be printed on opaque Pop-Up material..
For displays not bought at our company, we need a technical specification sheet. "dpi" is short for Dots Per Inch and describes the recommended resolution your file should have to achieve the best printing result. 600x600dpi refers to the vertical and horizontal resolution of the printer and specifies its quality. It's mostly higher than the file resolution. If the color compatibility is a high priority, please order a proof. This allows you to counteract color variations and customize them in your file. 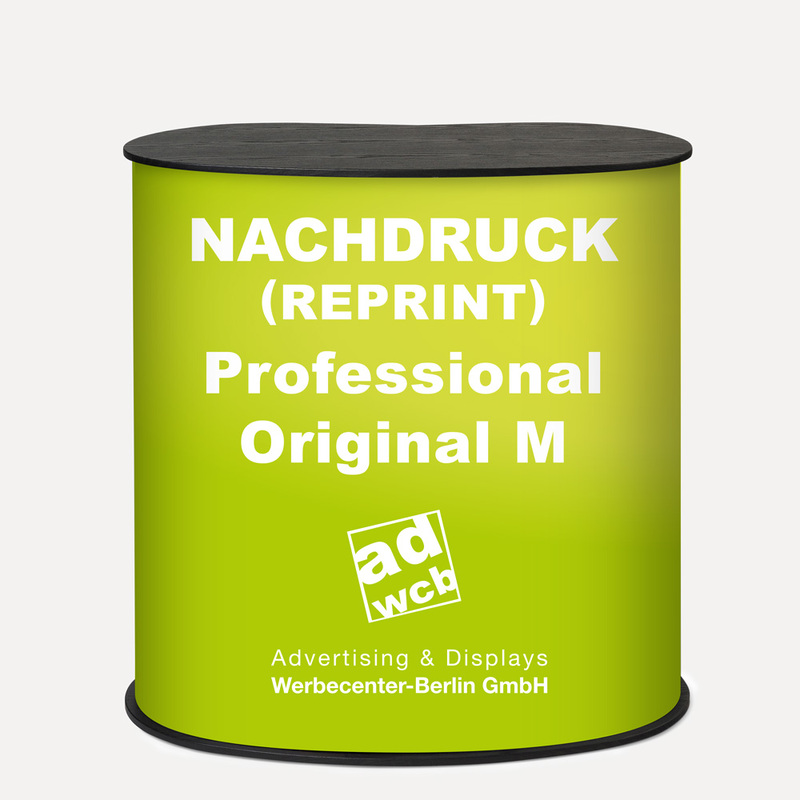 Pop-up counter "Professional Original M"